We offer property to let in Cheddar, Axbridge and surrounding areas. 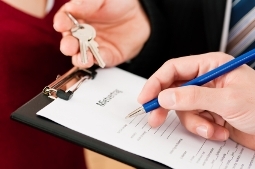 Dealing with both residential and commercial lets we offer both a ‘find a tenant’ service and a ‘managed’ service. With both services we are competitive with our fee’s and thorough with our marketing. Once instructed, we will take photos and details of the property and immediately contact any suitable applicants that have registered. This normally creates a flood of viewings. The advertising then kicks in to complete the process. Once a suitable tenant has been found, references are applied for, a deposit is taken (and deposited with the Landlords deposit scheme) and we complete all the paperwork, deal with the inventory list and get your new tenant moved in. We endeavour to take away all the trials and tribulations and make the process as simple as possible.